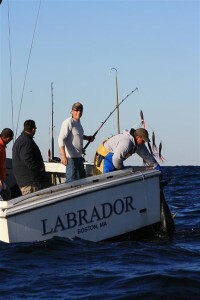 Labrador Fishing Charters offers a variety of packages for our customers, including tuna and shark fishing charters in the illustrious Mass Bay. Your experience and proficiency as an angler is of no concern. 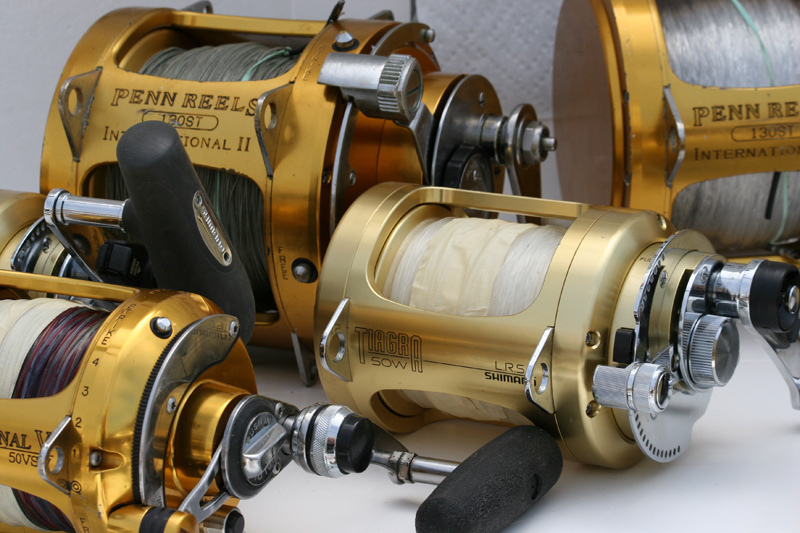 While we have hosted numerous anglers with years of fishing under their belts, we also take out groups of inexperienced anglers and individuals embarking on their first-ever fishing trip. Our offshore fishing charters depart from Mill Wharf at 5:00am. Groups can take up to six guests per boat; multiple boats are available. Below you will find all of our pricing information and a brief description of what each trip entails. If you have any questions or would like to make a reservation, call 508-498-4716, 508-280-4796, or email us at info@labradorfishingcharters.com for more information. Prices start at $150; can be used for any of our trips. We send you or your recipient the certificate and make the arrangements with the gift recipient. one of our many trip options make wonderful Christmas presents. 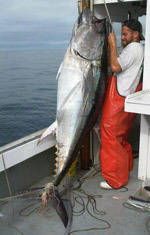 If you don’t mind sharing your charter, we will organize mixed party fishing. We normally due this on Thursday, however we will work with anglers to be as accommodating as possible. Great for birthday parties, this three hour adventure is a wonderful way to introduce children to the beauty of our local waters. This is one of our most popular trips and we have a lot of the same people bring their families year after year. These trips run from April through September and normally leave in the afternoon. 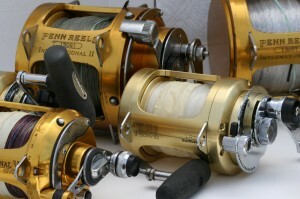 One of our licensed Captains will run your boat and teach you how to fish. 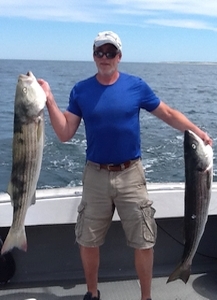 Try for stripers, blues, cod, mackerel, sand sharks. Spend four hours fishing for anything that happens to be around – this trip is good for the leisure angler and also for the kids who might have a little more fishing experience. This trip includes bait and tackle for up to six people. Full Boat Charter. Our boat offers customers the opportunity to whale watch at eye level, unlike other whale watching boats that are 15’ above the bay. 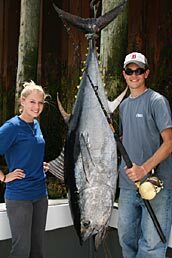 (average 10 – 25 miles offshore); this trip includes bait and tackle, up to four hours of fishing time for up to six people. 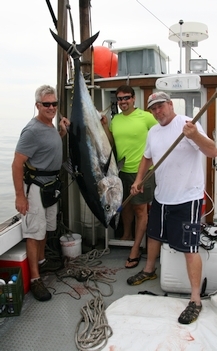 Tuna, Shark*, Bass and Blues – you decide what you want to fish for. (average 30 – 40 miles offshore plus inshore Striped Bass and Blues time permitting) This is our most popular trip and includes bait and tackle for up to six people for eight hours of fishing, for trips Monday through Thursday. *$30.00 surcharge for chum. 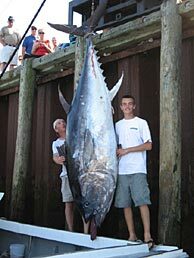 Tuna, Shark*, Bass and Blues – you decide what you want to fish for. 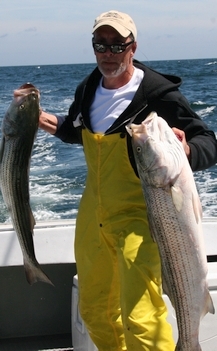 (Average 30 – 40 miles offshore plus inshore Striped Bass and Blues time permitting) This is our most popular trip and includes bait and tackle for up to six people for eight hours of fishing, for trips Friday through Sunday. Again, our most popular trip for bachelor parties, and corporate outings. *$30.00 surcharge for chum. 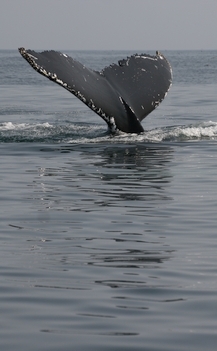 Other Services: If you would like to arrange whale watches, harbor cruises, memorials, etc. please call us – we do our best to accommodate all client requests. **Deposits of $200 are required to confirm dates, however they are refundable with seven days advance notice. Gift Certificates may be purchased starting at $150.